There are some subtle differences in the techniques used to chase sub-tropical jacks. MANGROVE jacks appeal at every level, be it the bull-at-a-gate hit, the violence of the fight and even the way their eyes follow you, as if they’re planning to attack while being unhooked and released. That said, jack fishing in waters in their southern range is never easy. Yet each year, as the days warm and water temperatures begin to rise with the coming of summer, my attention swings towards mangrove jacks, the most shockingly brutal of all our estuary species. Success comes with a one-eyed commitment and the ability to click into an automatic “pump-wind-pump-again” retrieve, irrespective of whether or not you fear for your rod. Recently, in order to bolster the brood stock of Southern Cross University’s mangrove jack research program, my supervising professor offered to pay me to catch new brood stock. He even though it was a job from heaven (what fisherman wouldn’t like to get paid to go jack fishing). I had to point out he was dreaming if he thought I could reliably secure six or more jacks of the size he wanted (55-60+ cm). There’s no question that schools of these larger fish are out there as we encounter them each season, but usually the encounter is short-lived because in the places we fish, they are almost impossible to land. The 2016/17 summer season was a cracker; there were plenty of fish landed with some epic wipeouts with cut lines, trebles ripped from quality lures and lures that have just disappeared. But only one fish over the magic 50 cm mark. I think the most memorable was at the hands of a genuine horse that would have eclipsed my current PB of 57 cm. The reason I know this is because I saw it clearly. It was one of those “oh so close” to perfect casts. Just a whisker too long. I saw how bloody big it was! Then the miracle that all jack anglers dream about happened: the fish bolted to the middle of the river and I was still hooting “YES” when the line sliced through the water, came up tight and the leader snapped like a gunshot! Monster jack 1, me 0! I continued casting lightly weighted plastics around the timber and rock bars and while I didn’t hook another thumper on a lure, there were plenty of 35-45 cm fish to keep me happy. With the catch/effort coefficient being well on the low side, as is typical, every lure-caught jack is a good jack. When it comes to jack lures, soft plastics are a good option. Success multiplies when anglers get this one right, and getting it right involves an appreciation of three distinct factors, the first of which is water temperature. Although jacks can survive in water as low as 15°C, they are pretty much shut down in an almost catatonic state. To become active again they need to warm up and to become the feeding and fighting machines that typify mangrove jack as a prime recreational species – water of 22°C is the gateway. So, late spring or early summer are reliable times to commence jack fishing, although cold water currents still shut them down. In my experience, the big Christmas tides signify the start of peak season. Secondly, the moon has a big effect on mangrove jacks, which become increasingly active with differing moon phases, for differing reasons. The new moon is a good time because prawns run to the ocean during the dark nights, and jacks love prawns. They are a very mobile species and tend to get up and travel with bigger tidal flows, meaning new moon morning and full moon evening tides. Tides play a vital role as well, because not only do jacks step up their feeding over slack water, they congregate in different areas at different stages of the tide. Simply put, jacks move into the shallows during high tide periods under cover of darkness (prawns again), where they’ll take surface lures readily as well as live prawns and pink nippers. Light lines get more bites and patience and stealth pays dividends. When the tide is low, you’ll find them in deeper sections of a river, particularly in deep rocky holes and around submerged timber. Take note though, not all snags are jack snags. When the timber decays at the surface, they don’t hold fish. Take the time to check out what’s below the water’s surface before fishing a snag. Obviously, you won’t catch a jack unless there’s a jack to be caught, so the trick is to know where to look. 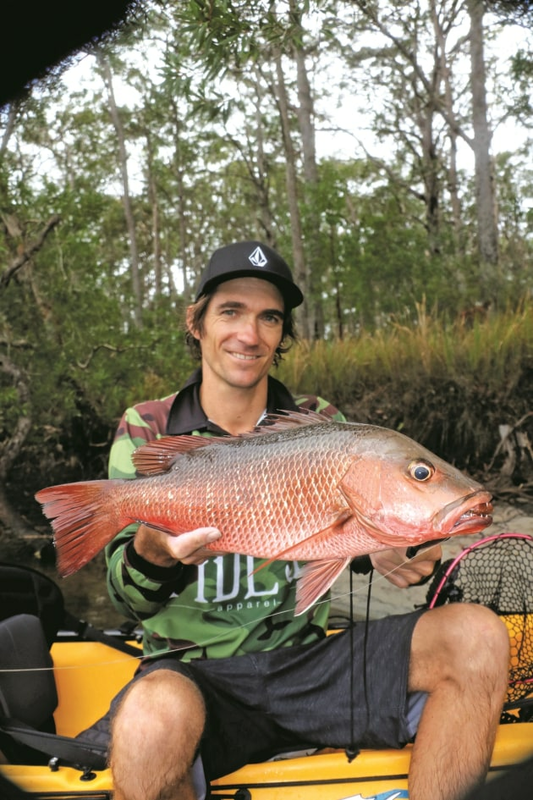 The sub-tropics are the focus of this feature, but in reality, you can’t travel too far north, but I’d put the southern limit of reliable mangrove jack fishing at Coffs Harbour on the north coast of NSW. Structure is the key when targeting mangrove jacks. They prefer shaded, complex structure that allows them to pack in tight, often in small schools. In creeks and brackish estuary zones, this means submerged timber and broken rock, and you can add bridge and jetty pylons and rock walls in more general estuary areas. In the past, I’ve found jacks in a pile of car bodies and concrete pipes that had been pushed into the river, and at another, where a dead cow was snagged up in a pile of logs … hard to get out but plenty of hookups! The salt/brackish transition zones have long been recognised as jack country. These are the sinister reaches of an estuary; 99 per cent of the time, everything is peaceful and quiet…until, without warning, all hell breaks loose. There’s minimal boat traffic and plenty of wildlife moving through the leaf litter and branches of the trees and scrub growing on the banks. Mangrove trees are rare, replaced by she-oaks and eucalypts. The clear inviting waters of river mouths don’t reach this far up, water moves slower and it’s a murky “bull shark” green, not the place for a dip! 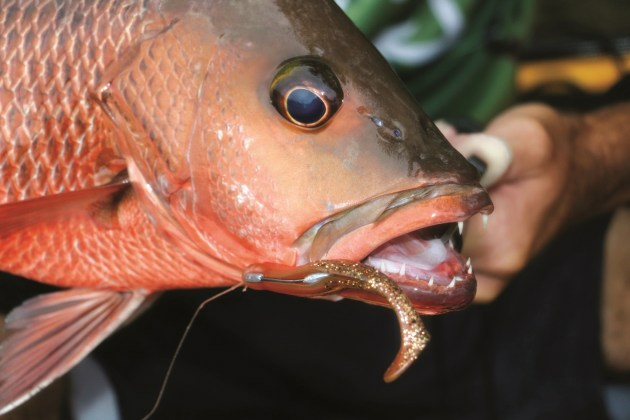 Livebaits can be a more reliabe options than lures in southern waters. Put simply, the universal technique is to get a bite, hook your jack and then pull like your life depended on it. That said, there is an important distinction between the southern fishery and that of the tropics, in that the abundance of jacks in southern waters is far lower than up north, which translates to more reliable fishing is to be had with live bait than with lures when fishing southern waters. 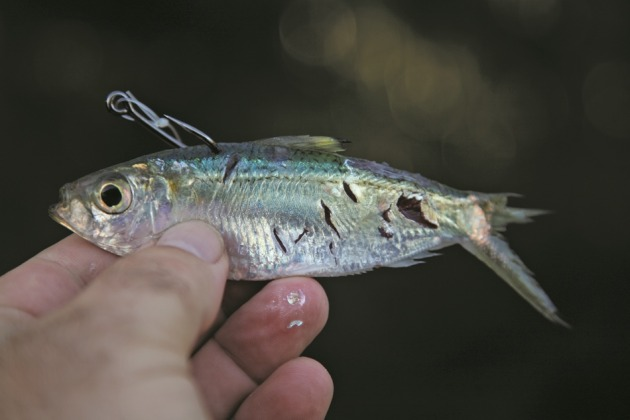 If you know for certain where the jacks are holding up, then fishing the spot with bait is the most likely way of hooking up. However, the tide turns in favour of lure fishing when you’re trying to find a jack because a slow drift is perfect for peppering an area with a lure. Lure fishing enables an angler to fish a much wider area than does bait. No matter how you fish, you’ll need to decide whether you want to get the maximum number of hits at the expense of landing the big ones or if it’s a trophy fish that floats your boat. Personally, I think that targeting jacks on light gear is irresponsible. Lines of 7-10 kg are minimalistic on decent fish and sub standard on bigger ones. As far as luring tackle goes I use a rod-length of 40–50 lb fluorocarbon on a 30-40 lb braid mainline. And I use both spin and baitcast outfits, reserving the spin for scenarios that benefit from a longer cast, although shorter casts allow you to limit the sideways movement of a hooked fish, which is important if there’s structure out on the flanks. I prefer to throw lures on a baitcast reel because I think they result in a greater feel between the angler and the lure or fish. My outfit consists of a Daiwa Zillion teamed with either a 4-9 kg Cranky or 9-12 kg Beefstik rod, both being mid-priced Daiwa Generation Black rods. Spin reels are the go for live baiting because they allow for gentler, bait-friendly casts. I fish heavier with live bait than I do with lures – a Daiwa 4500 Saltiga filled with 50-60 lb braid on a PE 6 jig rod, with a 60 lb FC trace and a strong 4/0 Octopus-style hook. I use a foam bobby cork float usually reserved for rock fishing, set at a mid-water depth and add a chemical glow stick if I’m out at night; and I never let go of the rod! Without doubt, my favourite lure for creek fishing is a 4" soft plastic rigged on a 1/8th oz. worm hook, rigged weedless. I’ve had good results with red TT Lures Swimmerz, although my jack buddy swears on brown, but irrespective of colour, weedless rigs greatly reduce the incidence of snagging, but they do tempt you to cast too close to snags … be warned! 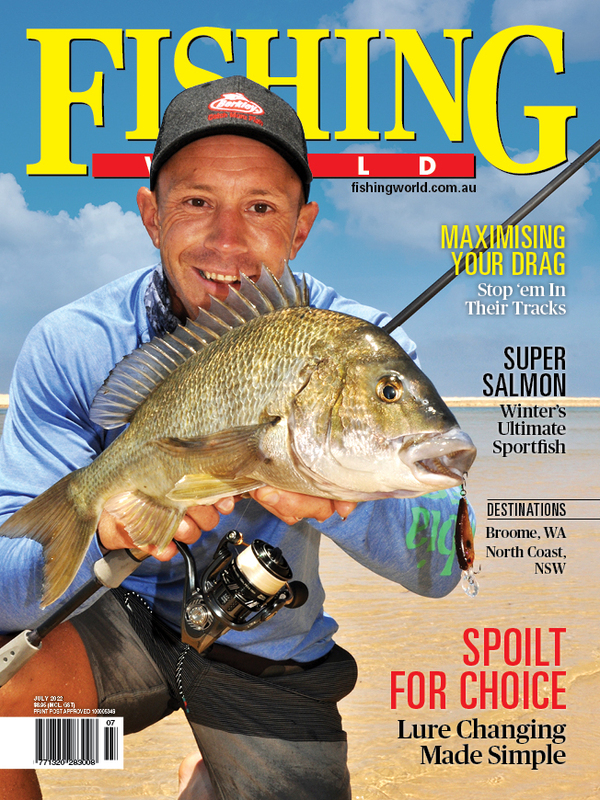 Shallow diving hardbodies remain the go-to lure for many, with Gold Bombers and Rapala X-Raps being perennial favourites for those anglers I knock around with. 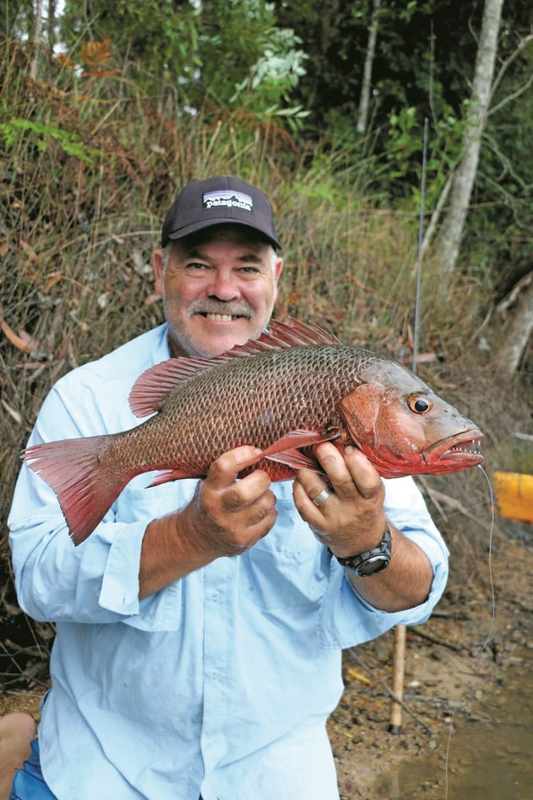 And that, ladies and gentlemen, is the appeal of mangrove jack fishing in the sub-tropics; you’ll never land all the fish hooked, but it’s heaps of fun trying and there’s always the chance of fluking a monster! ou’ll never land all the fish hooked, but it’s heaps of fun trying.